I'm an art teacher, I've got four children. We like to travel and see new contries. 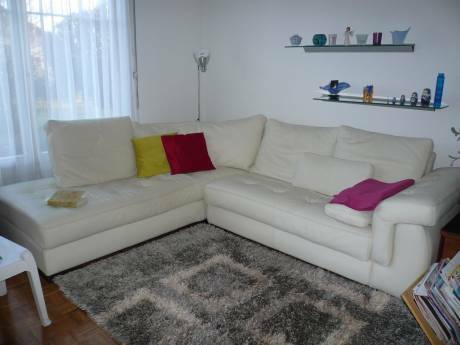 We have no experience with exchange of house and are willing to try. Secure, convivial and calm neightbourhood. Private playground, plus football and vollayball pitch. Pic-nic place near by. 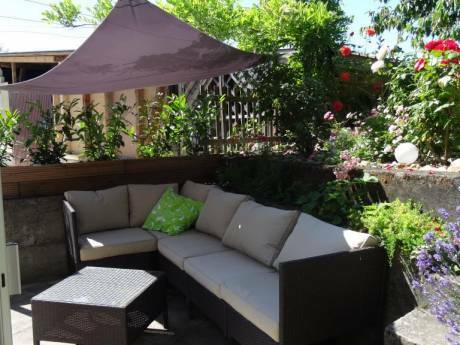 Close to the contryside(promenades), 20 minutes car or train to the Geneva's airport. 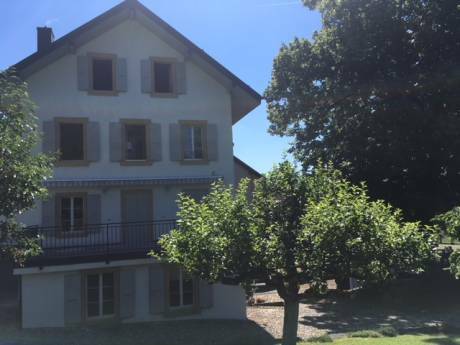 5 minutes walking downtown (nyon:small roman city), 2 min foot to the lake (little beach), ten min foot to the train station, the swimmingpool, the tennis club and sayling. Possibility hiking near by. Boat or train to Geneva (15-20 min). Possibility to organise little day trips around Swizerland (beautiful sightseeing and hiking). French and Englisch local church.